Spring has sprung and it’s time again for family or friends to gather for another holiday meal. If you celebrate Easter, a ham or a roast might be the star entrée to grace your table or buffet. The type of knife you use to carve these choice meats is just as important as the cut you select and the method you prepare. A balance of a sharp edge, correct length, and shape and weight of the handle are equally essential. The terms carving and slicing can be used interchangeably. These knives have a longer, thinner blade for slicing through the meat with a single stroke without tearing up the fibers, unlike as with a sawing motion used with shorter, thicker, or highly serrated knives. 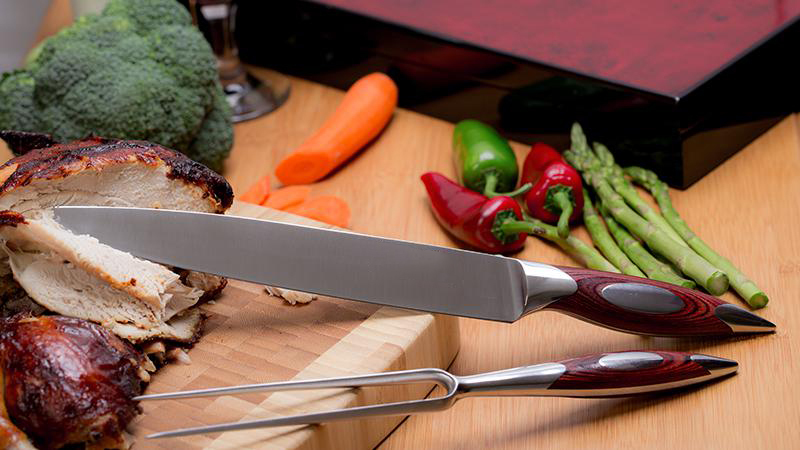 Slicing knives can be smooth or serrated, have a pointed or rounded tip, and work well with top roasts, boneless hams or turkey breasts, pork roasts, and generally anything other meats not entailing cutting through joints or bones. Above all, for the best possible results, make sure your knife is sharpened, either honed by you or a professional. At Guy Gunter Home, we carry a superior 15” ham knife that will perform for your most delicate slicing needs. It is made with a high-carbon German forged steel, has a rounded, weighted rosewood handle, full tang, and is manufactured as one piece. Our slicer is dimpled, and will not tear or shred your finest meats. 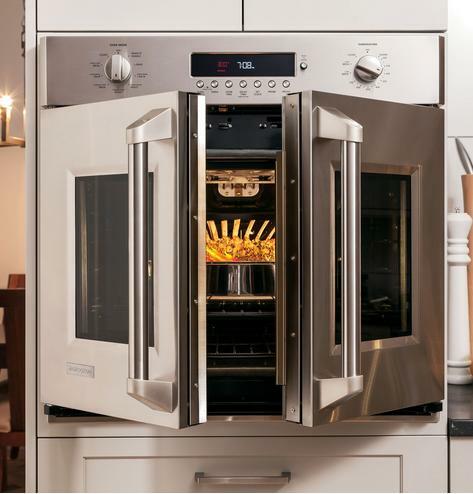 It retails at our showroom for $197, but there is a spring discount of 30% for our readers. All knives are guaranteed and have a lifetime warranty.